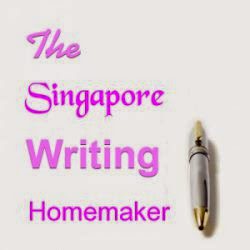 The Singapore Writing Homemaker: Do You Let Your Child Walk Home From School Alone? As I finished reading this thought-provoking post by Sara Borgstede, it got me thinking when I should allow my children to travel to and fro school by themselves. My eldest had just turned 9. He had been asking me to let him walk home from school by himself. Several of his friends had already started doing it while I had not felt ready to agree to his request. I started some conversations with other mums and they yielded interesting opinions which I would share. "Age 10 is a good age which the child could be depended on to walk home from school by himself"
"My boy (9 yrs old) is very independent that's why I allow him to walk to school and come back by himself"
"Since I have a younger child who is going to the same school as his older brother (12 yrs old) I don't mind sending and picking both of them up by myself"
"I'm not sure which age I would allow that. I guess it would be the age when he would request for it and I feel that he is ready." Singapore is a relatively safe country. With regard to child abduction rate, there were 26 cases recorded in 2007-8, of which 22 cases involved outbound abductions and the rest were inbound. Inbound cases involve children brought into Singapore whereas outbound cases involve children allegedly removed out of Singapore. In evaluating when a child could walk home from school by himself, outbound cases are definitely more relevant in my opinion. On the other hand, the reported statistics for road accidents for school going children in 2011 were 16 traffic accidents in school zones, compared with 35 in 2009, and 28 in 2010. Reading further on the kind of traffic incidents which happened within school zones revealed one case involving a 9 year old boy in 2012 near his school. At the same time, the tragedies which happened to 2 older children aged 11 and 13 raised eyebrows as to whether age is an important factor in a parent's decision of when to let his/her child walk home from school alone. While all of the above are important factors for a parent to consider, the parent must also feel comfortable in making such a decision. At the same time, road safety and personal safety (stranger wary) education are definitely useful for the parent and child to learn. Do you let your child walk home from school by himself? What's your take? Share your opinion about this topic in the comments below. Learn more on road safety tips here. I guess it also depends on how many major/minor roads there are to cross? Would be more ready to let a kid walk if there were no roads, but guess not many of us live that near their pri sch! My eldest boy is 10 (just turned) and I allow him to walk home from school alone. We live about 1.5 miles away from the school but he only has to cross one busy road. This road has a crossing so I don't mind too much. However I do fret the whole time. Until he walks through the door I am worrying about him and hoping he is safe. As it gets darker in the evenings I won't let him do it. I'm not ready to let him walk alone in the dark. Hi Morgan Prince, Yes, I could perfectly identify with your feelings. I would have felt the same. As mothers, we just have to pray that they are safe and sound everywhere they go.